Shams power system pvt.ltd. is among top rene | SHAMS POWER SYSTEMS PVT.LTD. Shams power system pvt.ltd. is among top renewable energy solutions company. 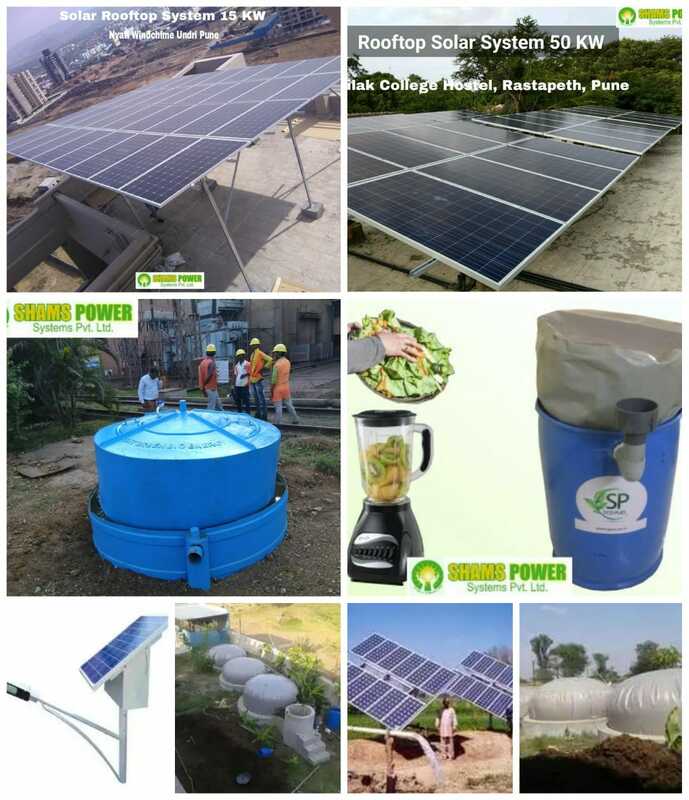 We provide waste to energy solutions like biogas plant, rooftop solar system, solar street light and solar water pump solutions. Subsidy for rooftop solar plant installation for residential building is available only till march 2019. Rooftop solar system of residential projects completed before 31 March 2019 will be eligible for subsidy. Contact shams power systems pvt.ltd. to know your solar system requirement, expected saving and investment payback info.